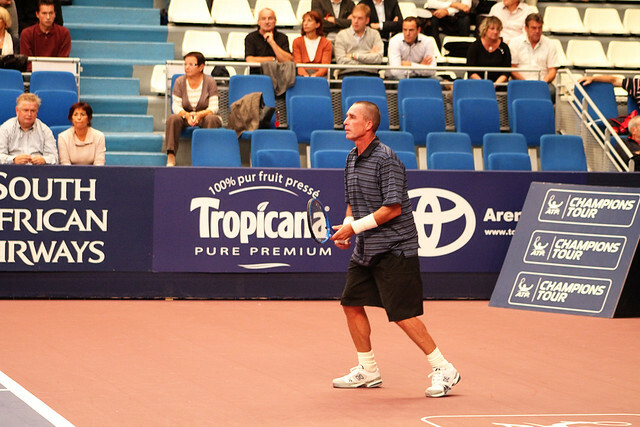 First match between old rivals: Ivan Lendl vs Mats Wilander. 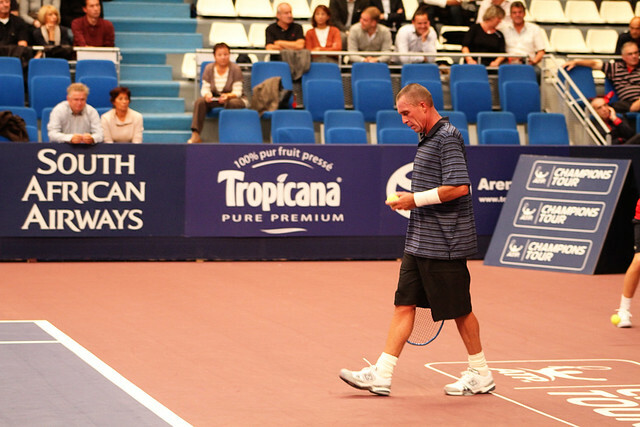 This match marks Lendl’s return to the competition. I must say I’ve been quite impressed by Lendl and Wilander‘s playing level. Mats’ court coverage is amazing and Ivan’s forehand is powerful and precise. This year’s event (from 1 to 3 October) will take place for the first time in the Pierre-de-Coubertin stadium in Paris, home of the WTA Open Gaz de France tournament. 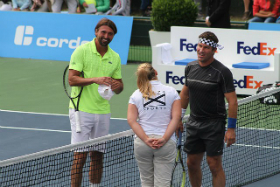 The line-up will be quite exceptional, with 4 former world number one, with a total of 28 singles Grand Slam titles! 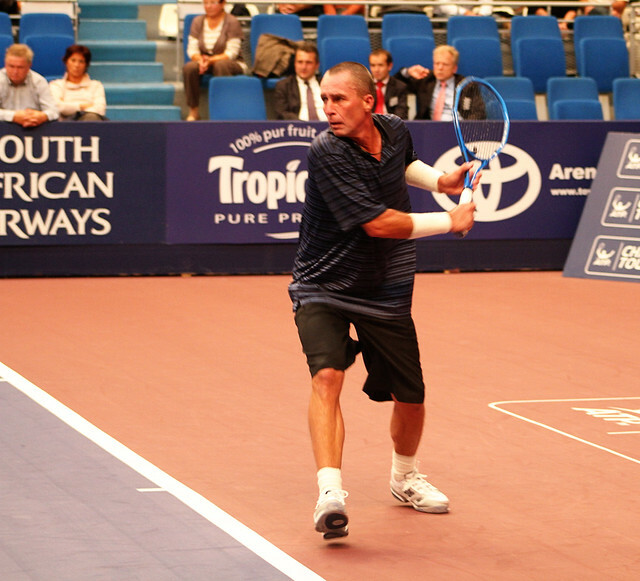 This tournament will also mark Ivan Lendl’s return to the competition. The tournament has the typical senior event format: 2 groups of 3 players, with the winners of each group facing each other in final. The match will be played in the best of 3 sets with a match tie-break. 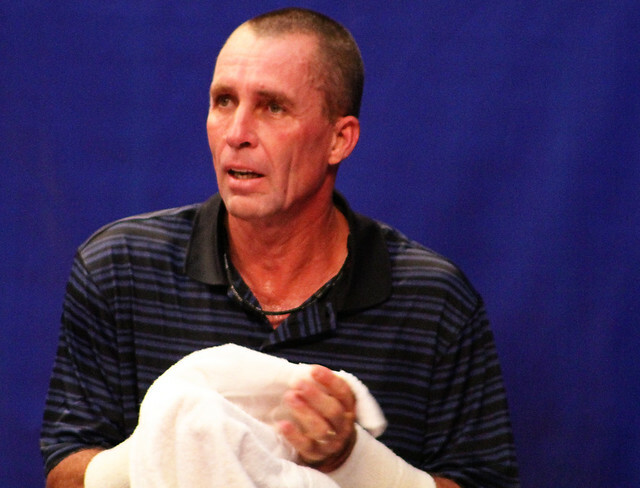 Ivan Lendl will end a period of 16 years out of tennis by playing in an ATP Champions Tour for the first time. 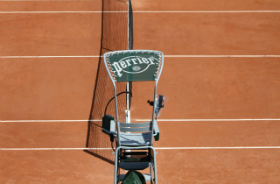 The former world number one and winner of 8 Grand Slam titles will make his long awaited tour debut at the Lagardère Trophy in Paris. 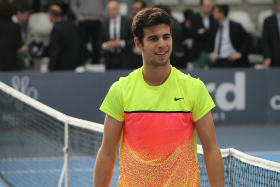 He will face two of his biggest rivals: John McEnroe and Mats Wilander. Since retiring in 1994, Lendl has barely lifted a tennis racquet, prefering to spend time on golf courses. If you want to know more about Lendl’s influence on today’s game, read this article: Father of Modern Tennis. John McEnroe now works as a sports commentator in tennis and has regularly appeared in US national telecasts of Grand Slam tennis matches on such networks as CBS, NBC, USA, and ESPN, as has his brother Patrick. He also commentates on Wimbledon for the BBC in the UK. 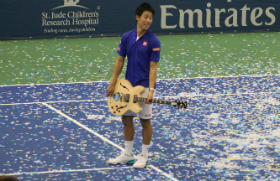 He recently launched the John McEnroe Tennis Academy in his hometown of New York City. 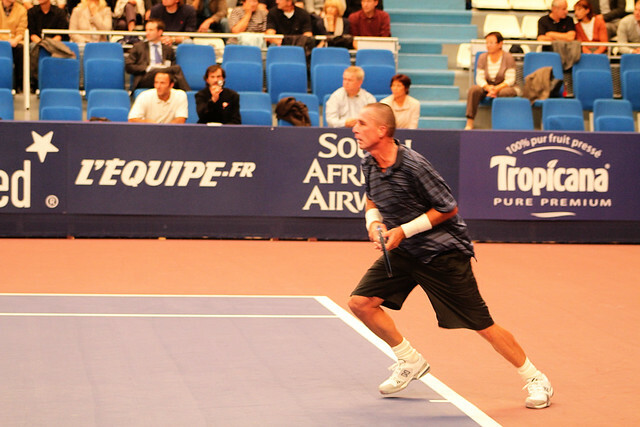 McEnroe will compete the Jean-Luc Lagardère Cup for the fourth time. Since retiring as a player, he has served as captain of the Swedish Davis Cup team and as coach of Marat Safin, Tatiana Golovin and Paul Henri Mathieu. He also commentates tennis matches on Eurosport. Find more about Mats on Wilander Tribute. For Edberg, it’s the 3rd visit to the Trophée Lagardère. He made his senior debut here in 2008. 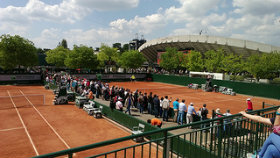 Despite the tournament being on clay, his least favorite surface, he won the title, beating Sergi Bruguera in the final. Last year, he was defeated by Michael Chang in a rematch of the unforgettable 1989 French Open final, and finished third. Pioline is a two time former Grand Slam finalist, having reached the men’s singles final at the 1993 US Open and at Wimbledon in 1997. On both occasions, he was beaten by Pete Sampras in straight sets. 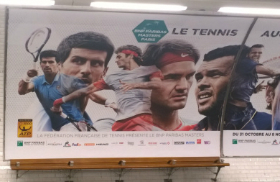 Pioline is the tournament director of the ATP Masters Series event in Paris Bercy. 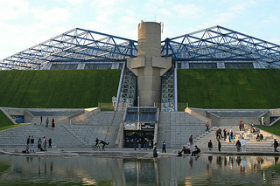 (Watch out for our Bercy coverage next month). Forget reached a career high 4th place ranking in 1991, the year he won 6 titles including the Bercy Masters Series tournament. 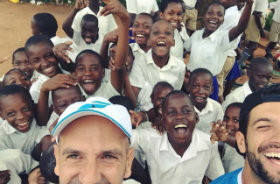 He now serves as France’s Davis Cup team captain and tournament director of the ATP Champions Tour event in Paris, the Lagardère Trophy.